JG Thirlwell is composing a new piece for the Australian new music string quartet Zephyr Quartet. Zephyr are commissioning a series of string works that will premiere at the Adelaide Festival in March 2016. Collectively entitled Exquisite Corpse, the suite of compositions are created in a style based on the Surrealist game, where each composer starts their composition from a short section of the previous composer’s piece. The composers involved include Zoe Barry, Jherek Bischoff, Jason Sweeney, Adam Page and others, with live projected art created by Luku Kukuku and Jo Kerlogue. Performances will take place on March 7 and 8 at the Space Theatre in the Adelaide Festival Center. 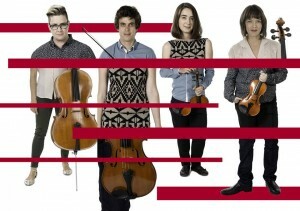 In 2013, Zephyr Quartet performed with JG as members of his chamber ensemble Manorexia at the Adelaide Festival with Kronos Quartet.